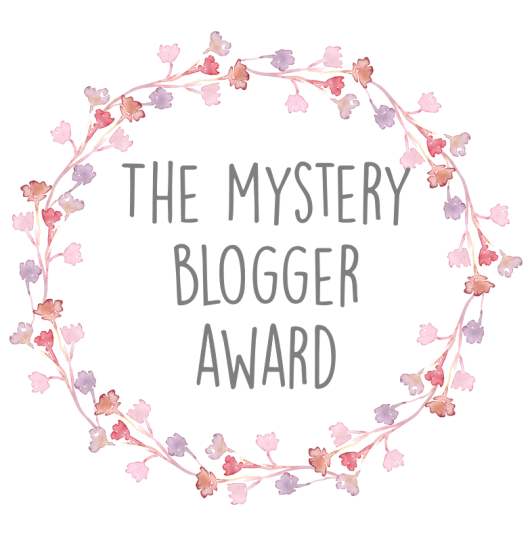 Today I have the Mystery Blogger Award for you! I got nominated by the lovely Hollie and you should definitely check out her blog! I’m really thankful she choose to nominate me!♥ This award was created by Okoto Enigma and you should check out her blog as well! I flipped my entire upload schedule to make sure I can post this as soon as possible! So let’s get into the mystery blogger award! I would love to have a cat but I can’t get one because sadly my boyfriend is allergic to them. I moved out from my moms place last year to live with my boyfriend. At the moment I’m thinking about studying architecture. That’s hard. I have a few things I’m kinda proud of. One would be that I won a local math competitions first and second round of three in 8th grade. I was quiet proud of myself back then. At the moment I’m working on some projects that I will probably be really proud of if I manage to complete them but shh that’s a secret. I think I should really choose one per section. Makeup: I don’t think I have an essential makeup product because for my most minimal makeup I still need a good I think 10 products. But if I had to choose I would go with contour powder! I have the contour kit by sleek in light at the moment and I’m really happy with it and will probably repurchase it once it’s empty. Skin Care: Face Oil! This is the ONE product that really helps me with my oily skin. At the moment I like the Dr Scheller amaranth and argan oil anti-wrinkle face oil. Hair Styling: A good leave in Conditioner is a must have for me! My hair is just really dry and looks really dry so I need some extra care to have it a bit more silky. At the moment I’m still searching for the perfect one but I have a coconut water one by balea at the moment which is quiet fine. There are a few questions I would ask and I don’t know if I could choose one specific question.Some of my questions would be: Will I be happy? Will I be successful and how about my blog. Will I still be blogging? Will I stay together with my significant other? I feel like all seasons have their pros and cons. I love summer but I also hate that it’s so damn hot. I also love winter but it’s so damn cold. I would say I like the transitioning between spring and summer and summer and fall the most since it’s not too cold at least most of the time and definitely not to hot. I can already wear dresses and don’t have to drown in sweat haha. Do you have a favourite memory from the year so far? What is it? I didn’t really do anything special this year so there’s not really any experience I would call my favorite memory. BUT this year I really started to invest some time into my blog and finally started to see some real growth! So I would say that’s probably my favorite memory so far. Who do you currently have a girl-crush on? I’m not sure but Maria Amanda is a stunning woman. Which Lipstick shades are your favorites? Which lipstick is you all time favorite? How do you fell about autumn? Do you like this season? What are your most essential apps on your phone? Have you ever wondered how life would be if you were a dog? How would it be? What do you think? I hope you enjoyed this post and a huge thank you once again to Hollie for nominating me ♥ It was really hard to find a somewhat funny question haha. But I had a lot of fun writing this post! I hope you enjoyed reading it as much as I enjoyed writing it! Join our family right here! Click here to subscribe to my blog and join our family! So you'll never miss a post again!